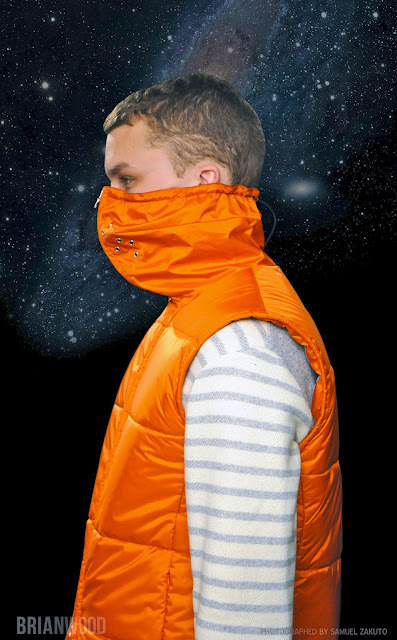 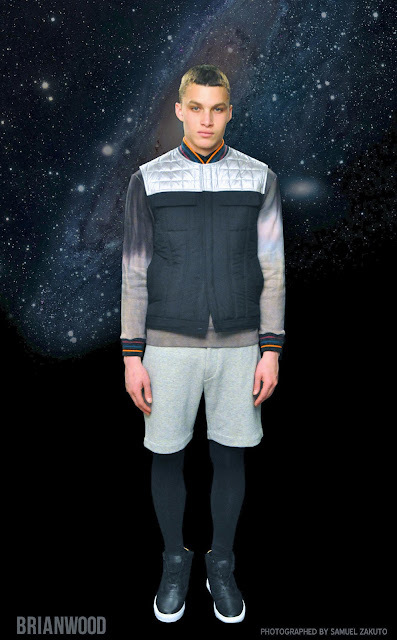 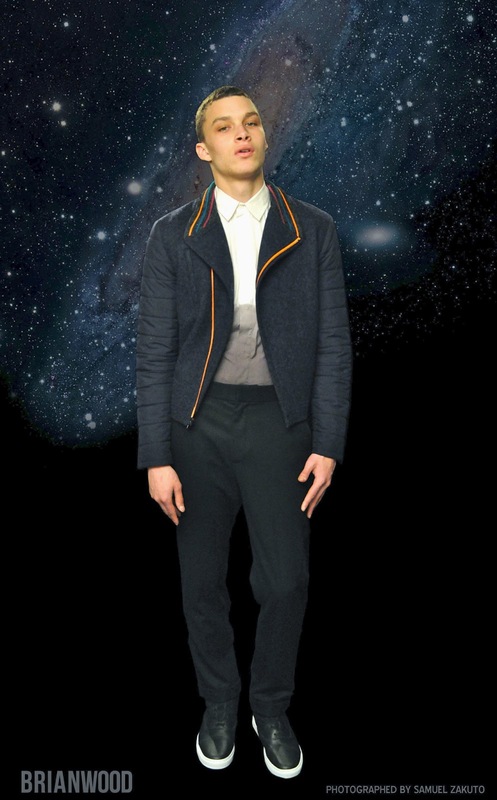 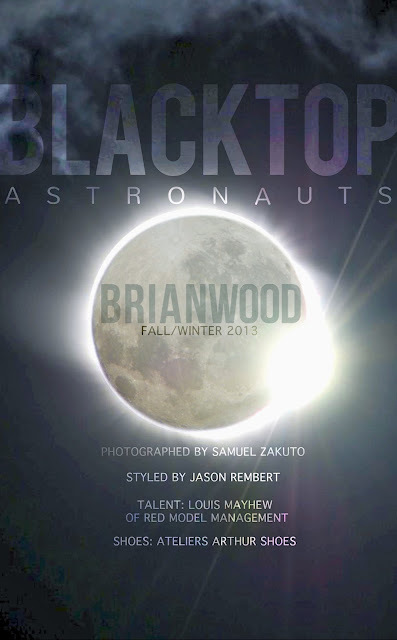 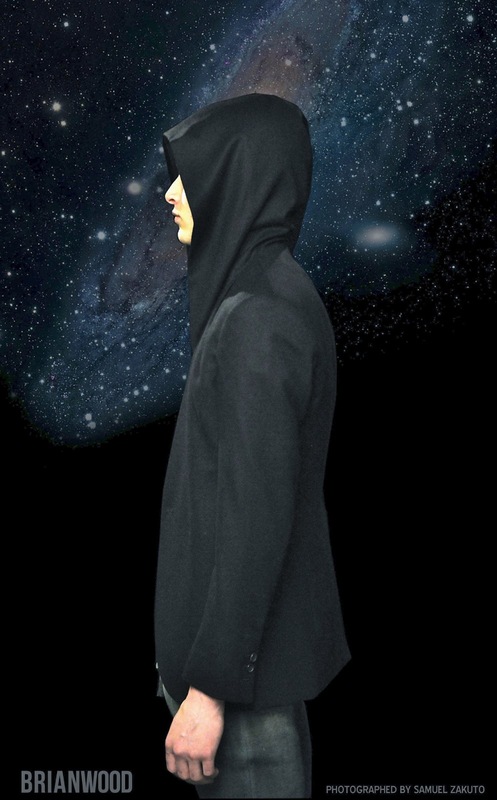 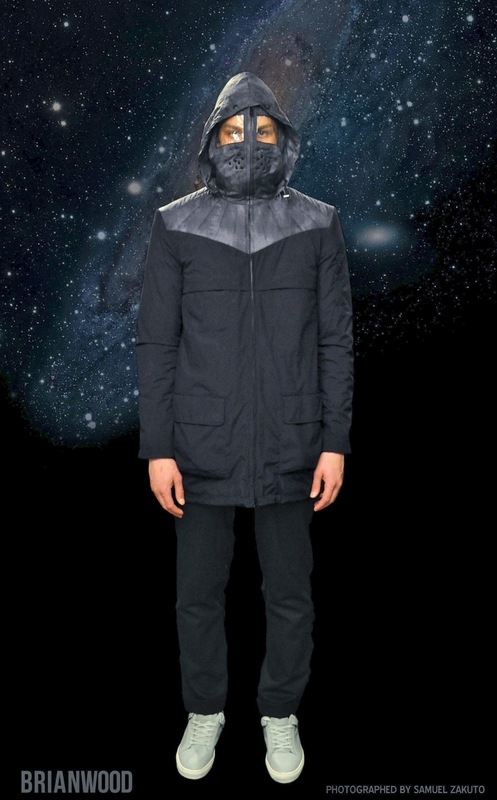 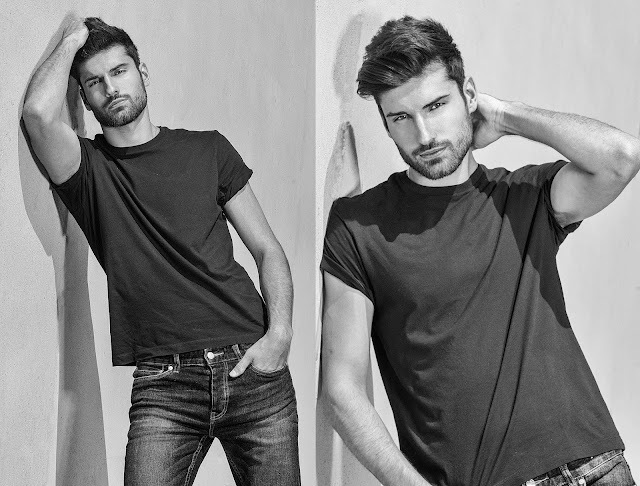 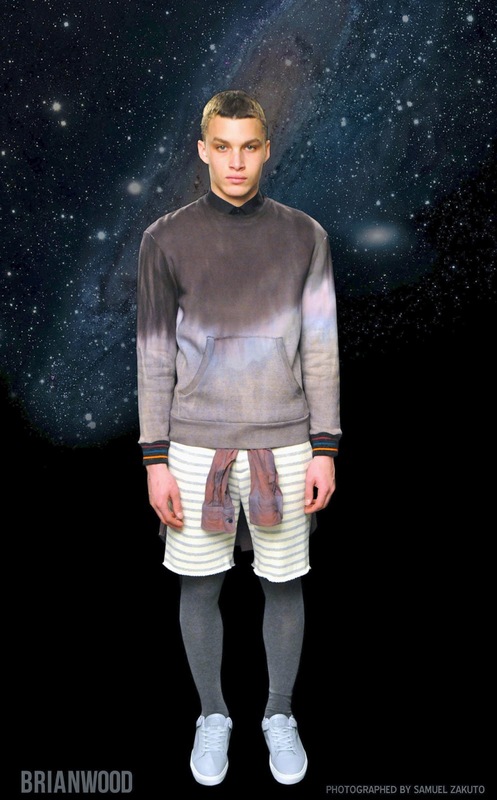 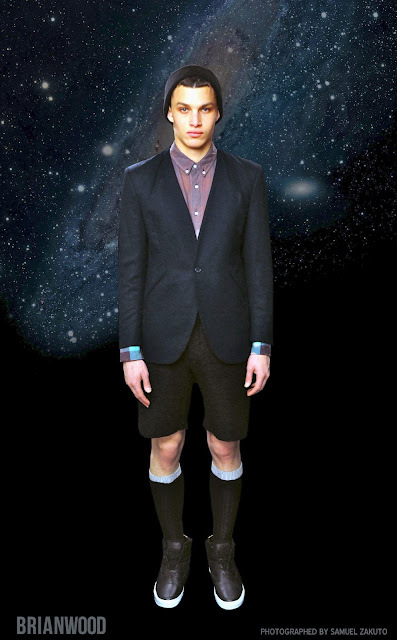 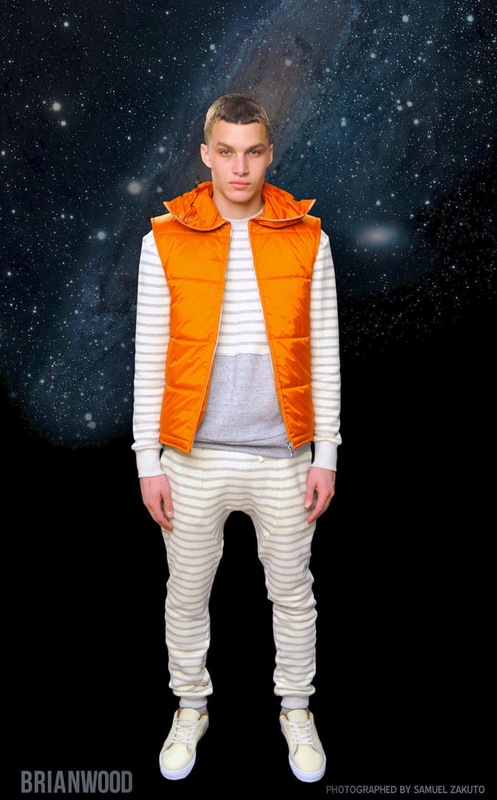 Here is the fall-winter 2013-2014 collection from NYC based designer Brian Wood . 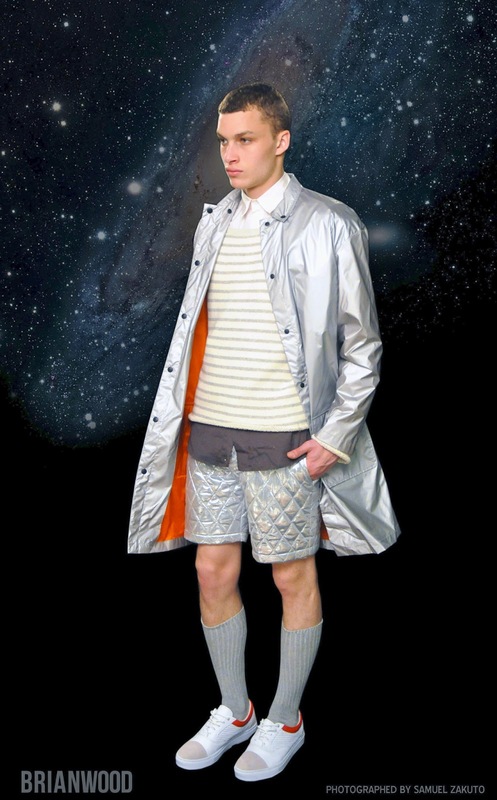 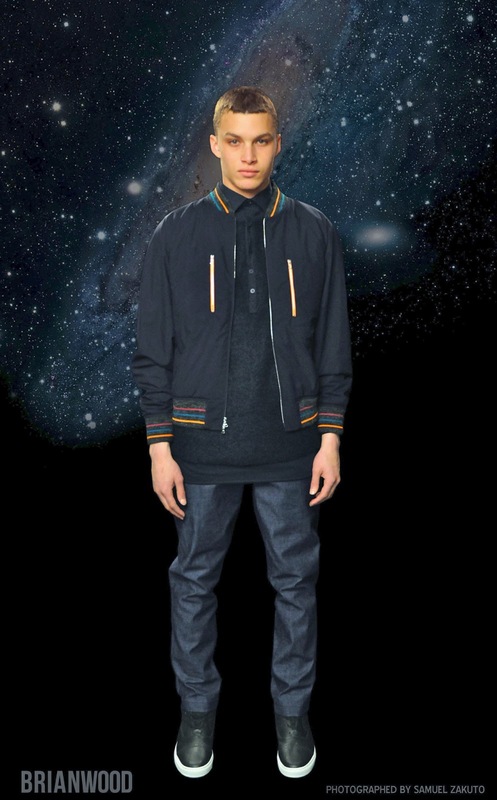 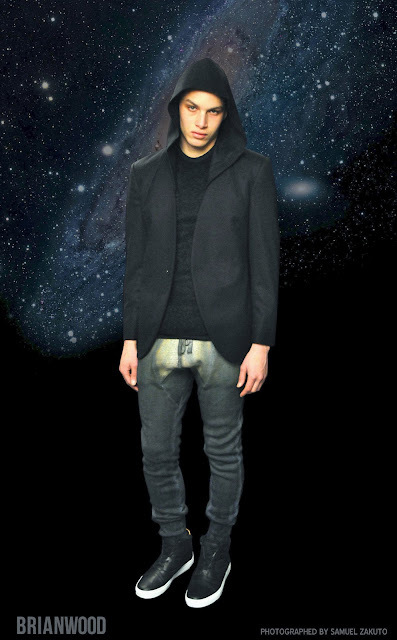 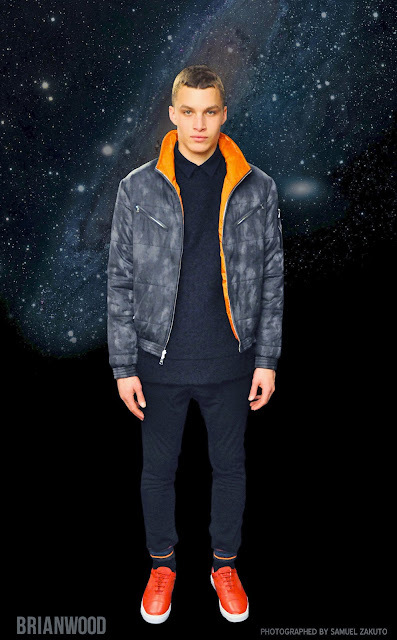 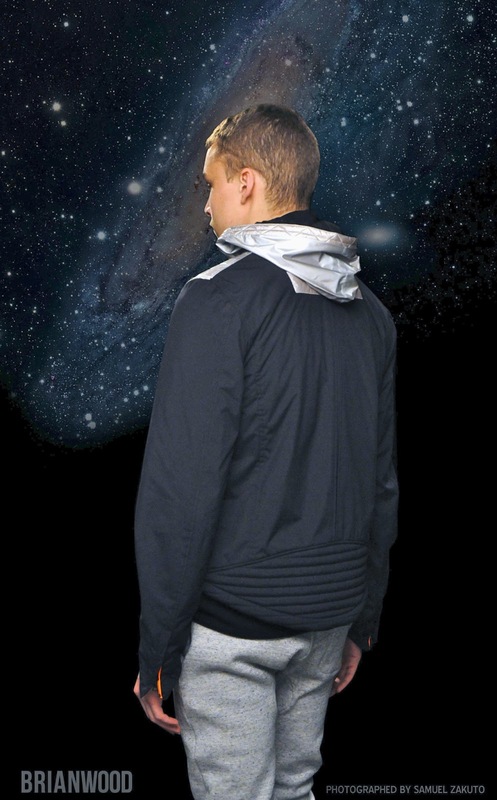 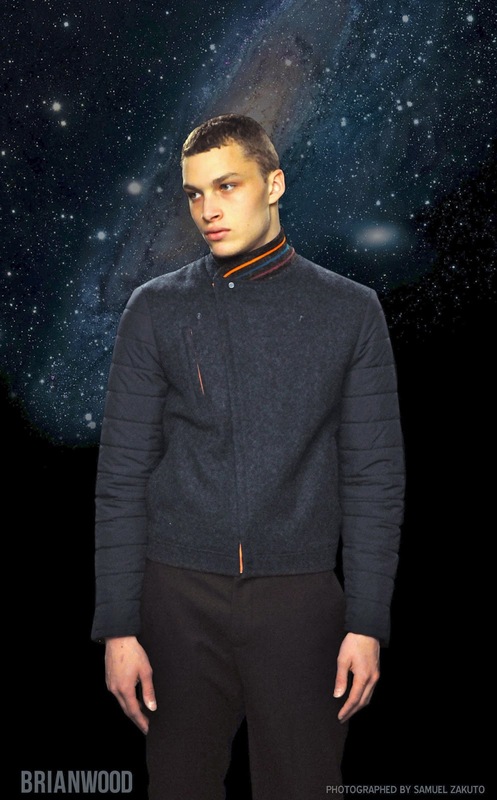 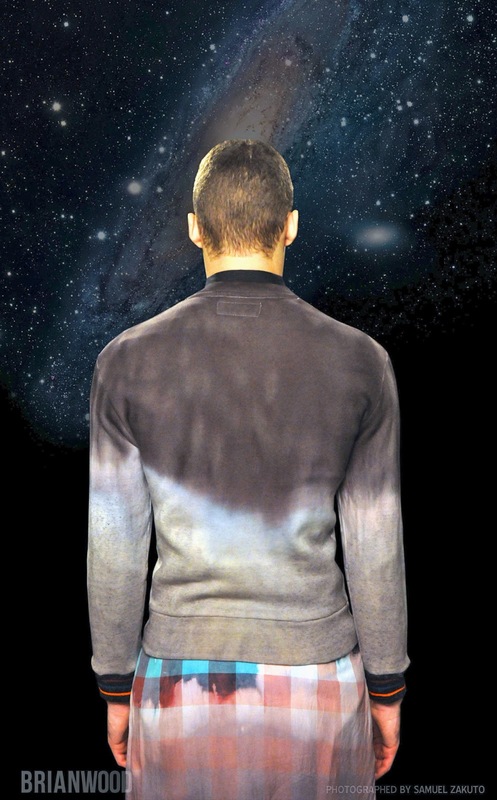 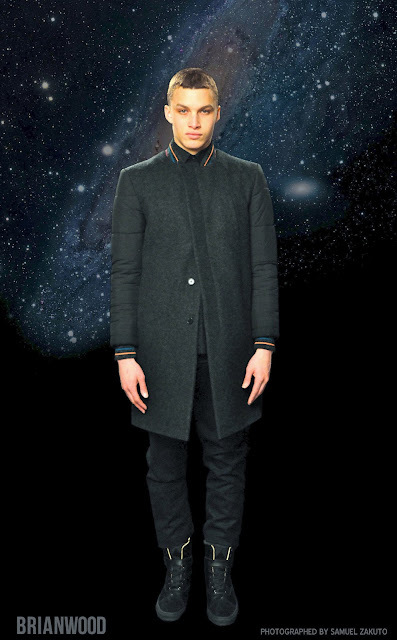 The collection entitled “Blacktop Astronauts” fuses hi tech synthetic fabrics with hand bleached and dyed natural fibers. 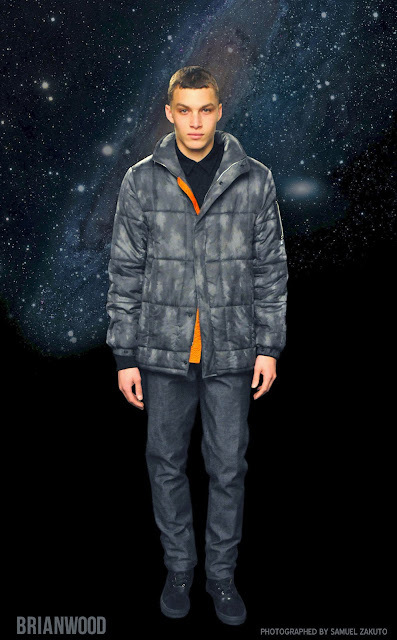 Water Repellant Nylon is quilted with 3M Thinsulate insulation and blended with Woolrich Melton Wool. The entire collection is accented with a custom-made, multi-color striped acrylic rib knit detailing. 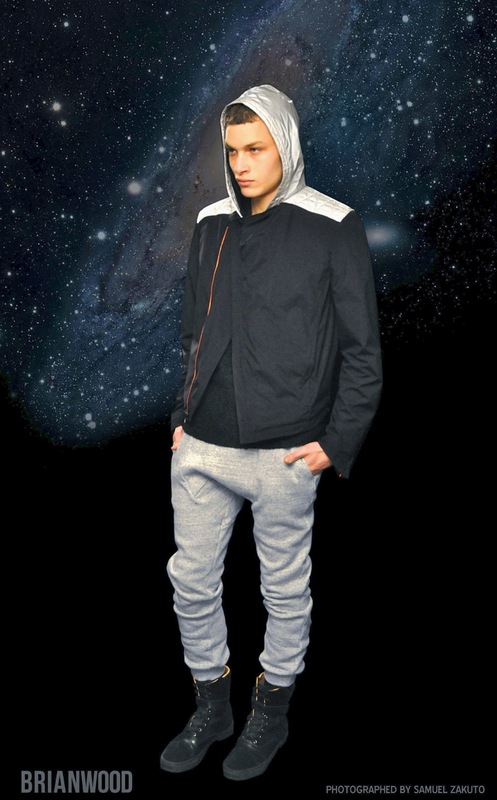 Designed and Made in NYC.